kingsnake.com photo gallery > Green Tree Pythons > 2018 Reds!! 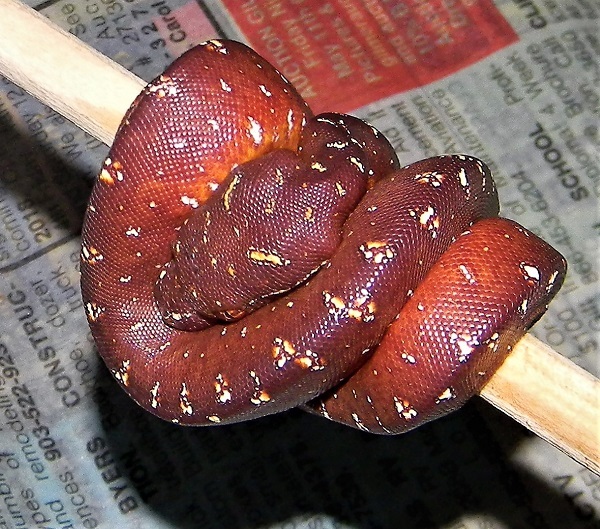 Description: This neonate is one of fifteen ALL reds in this clutch. Biak/Merauke male x Aru/Manokwari female.